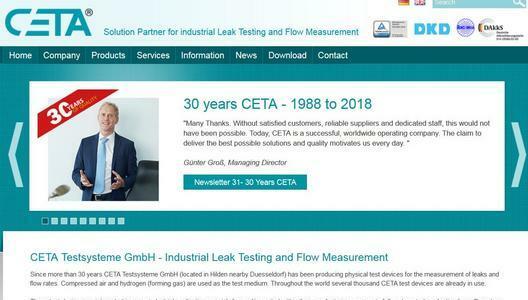 CETA Testsysteme GmbH is a manufacturer of leak and flow testers with over 30 years of experience in the field of industrial testing technology. Thousands of CETA leak and flow testers are used in production lines all over the world by renowned industrial customers. 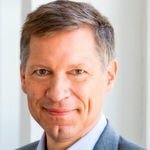 However, the high level of automation also brings about increasing demands on the integration of testing technologies. 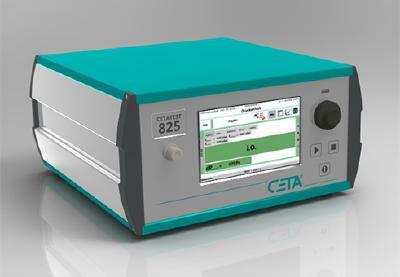 CETA test devices are equipped with a great variety of industrial interfaces to enable integration in factory automation. The standard configuration includes digital I/O, RS-232 and USB-host. Additionally, basic industrial interfaces such as Profibus, Profinet, Ethernet and EtherCAT are available as an option. The interfaces are bidirectional and enable flexible parameterization of the test devices. This results in a substantial increase of the number of testing programs if a new set of parameters is transferred accordingly when changing the product to be tested. 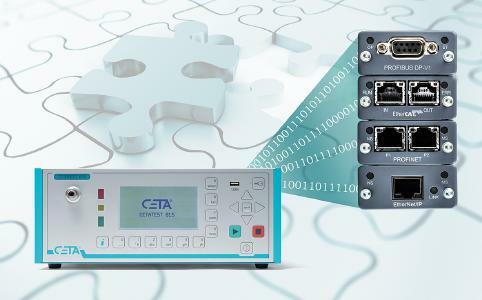 CETA also supports the users by providing a function library for easy integration via RS-232, USB and Ethernet, as well as the relevant technical documentation of the industrial interfaces. The application software CETA Soft 2G is available free of charge on demand. It allows real time recording of test results, measurement series and measuring curves as well as application support. With a remote desktop software, remote access to all computers featuring CETA Soft 2G is also possible. A Bluetooth module is provided for wireless operation of the test devices using the application software CETA Soft 2G. This is very convenient for wireless remote control of the devices. The program also includes a wide range of accessories such as an interface converter Ethernet to RS-232 (for network integration) and a RS-232 protocol converter to allow replacement of the CETATEST x10 devices by the current device series CETATEST x15. The protocol converter can also be adapted to allow replacement of devices from other manufacturers. Integration in the production network opens up vast possibilities for process monitoring. Transfer of data to the product identity card, networking with worldwide access to devices and test results, transfer of production data and test results to the blockchain data structure, these are just a few applications for the use of interfaces. 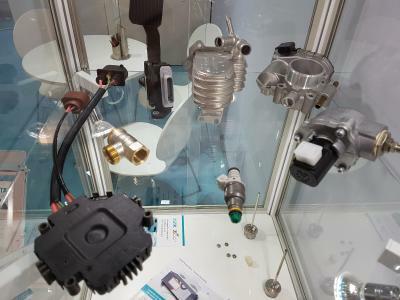 All these features constitute a solid foundation for the integration of CETA test devices in Industry 4.0 environment.We are at the exhibition Motek 2018 in hall 3, stand 3320. The test devices („Made in Germany“) are the company’s own developments and the components and accessories (e.g. calibration standards) are manufactured in-house. This ensures that the high quality requirements for the internal modules are met right from the start.